Frequently, customers will ask us: “what an earth is mAh? !” or “how much mAh do I need for my power bank?!”. We understand that mAh will be a new word for many of you, so we’ve written this blog post to offer some much needed explanation. mAh, is the abbreviation of ‘milliamp hour’, and represents the battery capacity of the power banks – simple! The higher the mAh, the longer the power bank will last. You’ll also find that mAh correlates heavily with price – the lower the mAh, the lower the price, and vice versa. 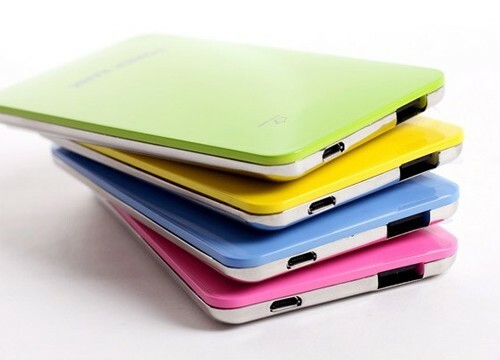 Standard promotional power banks range approximately between 1,000mAh to 10,000 mAh. The big question is how much mAh do you need? 1. Find out the mAh values of the devices you want your power bank to charge (the table below provides this information on some of today’s most common devices). 2. Using your findings in point 1, factor in how many charging cycles you want your power bank to supply. For example, if your power bank has a mAh value of 9,000, and the device you need charging has a mAh capacity of 1,000, you’ll have a total of nine charging cycles. 3. Think about the target users. How much are you willing to spend on them? How much mAh would they need? 4. Think about the purpose of this sell/exchange/giveaway, to determine what price and size is needed to do the job. Table of common devices and their mAh values, followed by power banks that would be most suitable. In this example, the Kormat powerbank will charge three times as fast as the Tower and Kingdom powerbank and is double the speed of the Black Aluminium powerbank. Moreover, even though the Kingdom has an 10,000 mAh capacity; its output rate is only 1.0 A, which means the Kormat will still charge your device faster even though it has less capacity. The higher the amp value, the faster the charge rate. Note: there are chargers which have a lower amp value than 1, it will present itself as 0.8A or 800mA. mA stands for milliamps (1000 milliamps to 1 amp). Power Banks (or portable mobile chargers) are one of the best-selling promotional merchandise gifts due to our reliance of our many gadgets! With an abundance of styles, branding options and price ranges – you really can’t go wrong. Below is a selection of the market’s top power banks. Contact our friendly team on 01420 478866 or email us at info@completemerchandise.co.uk.